It’s not uncommon to have carpets wrinkle, tighten, or even bubble. When any of these happens your carpets, you face tripping hazards. Giant Carpet & Flooring Inc. is ever ready to revamp your carpet and make them worth using again. We don’t just work to make your carpet wrinkle-free and remove bubbles but also save you money. We understand how much kids and even properties can damage your carpets, don’t fret! Giant Carpet & Flooring Inc. knows what it takes to repair any damaged carpets and make them look new and serve better. You love your pets, no doubt but they can do the unexpected on your carpets. They are part of your family and true companions, but you must be ready for their damages on your carpet. Giant Carpet & Flooring Inc. is a brand with vast experience in repairing pet damages on carpets. 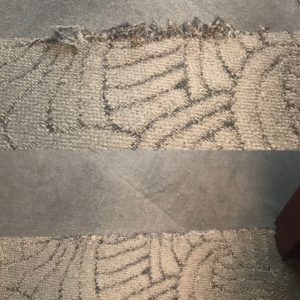 We fix these damages, making your carpet look good again. 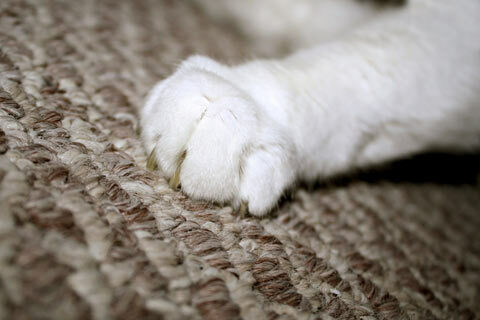 With the best repair materials and tactics, we’ll fix the damages caused by pets on your carpet. 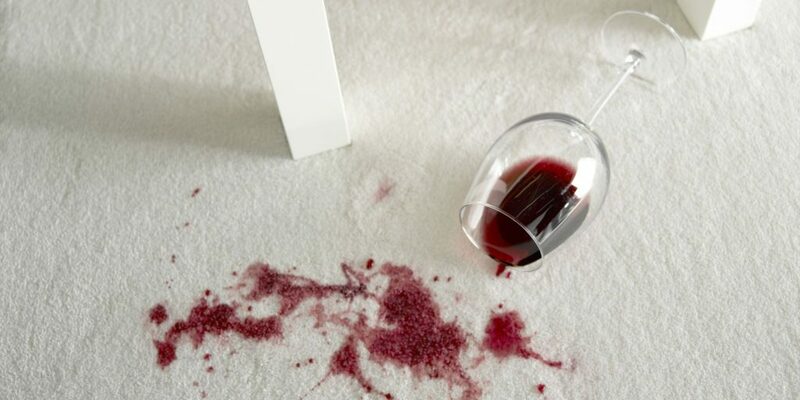 No one would cheerfully watch their carpet unravel with wear, or accept to have their carpet seams looking unpleasant. In line with our commitment to delivering topnotch carpet services, we cater to your carpet seams, minimizing and maximizing seams where necessary. We work on this during installation and also deliver even after installation. Just call on us, and we’ll deliver. No matter how you try to look at it, burn marks are never appealing to the eyes. Whether it’s in your home or office space, burn marks are quite an eyesore. However, you may not need to change your entire carpet, Giant Carpet & Flooring Inc. has repaired countless burn marks for various clients, and is ready to work with you. We’ll work on the burned portions of your carpet to make them look good to the eyes and last longer. We don’t just fix burn marks on carpets but recreate regions affected by burns. 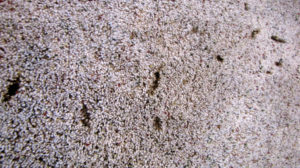 Sad spots and brown spots are what many carpet owners wouldn’t want to experience. Often caused by moisture and water permeating through carpets to carpet pads, sad spots appear as permanent damage to carpets, but we have the solution at Giant Carpet & Flooring Inc. 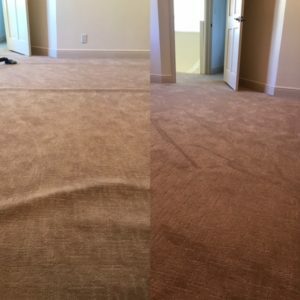 Despite the cause of the sad spots on your carpet, our carpet experts will cater to it and reform your carpet to meet your expectations again. A smooth carpet remains incomparable and is the dream of many homeowners and office operators. But then, wrinkles, bubbles and ripples seem to be common with carpets. If you’re not ready to go for new carpet installation, we can help you remove bubbles and ripples, and as well stretch your carpets to be void of wrinkles. Having bubbles on your carpets can pose tripping hazards and are quite unpleasant to the eyes. Giant Carpet & Flooring Inc. knows how to eliminate wrinkles, bubbles and ripples and leave your space with an all-smooth carpet. Accidental spills of bleach on carpet often strip it of its color and can reduce the aesthetics of any carpet. Having a bleach stain on your carpet doesn’t really call for re-installation. We know how to make you save more and still enjoy quality carpeting without stains. 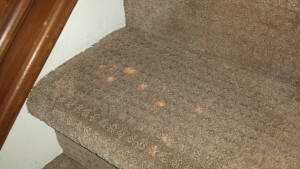 Whether small or large stains, our expert carpet bleach stain removers will do the job perfectly. 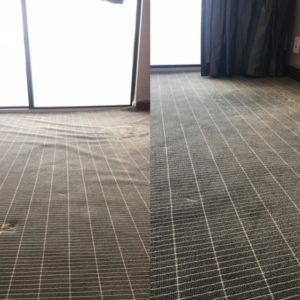 We realize that many carpet users encounter water damage which seems to call for an entire re-installation in some cases. 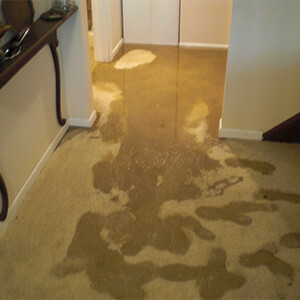 Whether your carpets are glued to the floor or pads, we can help you fix the damages caused by water on your carpet. Having catered to the various carpeting needs of different clients, we know that roof leaks, pipes leaks and even accidental water spills are bound to happen at some point. It’s the duty of carpet experts to fix and make your carpet look good again – this is where Giant Carpet & Flooring Inc. comes in handy. Get in touch with us now! Our services are not restricted to those above, as we know that the needs of each every client varies. We take out time to know your exact needs and customize our expertise and materials to meet these needs. You’ll hardly bring a project we’ve not conquered similar jobs in the years past. Contact us now for a memorable carpeting experience. Giant Carpet & Flooring Inc Serving Boca Raton, Boynton Beach, Palm City, & surrounding areas.